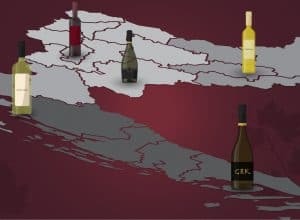 Dingač wine – All You Need to Know about it ! While tourists enjoy the beach with a view of the neighboring island of Korčula, they are largely unaware of the treasure that lies just above them. 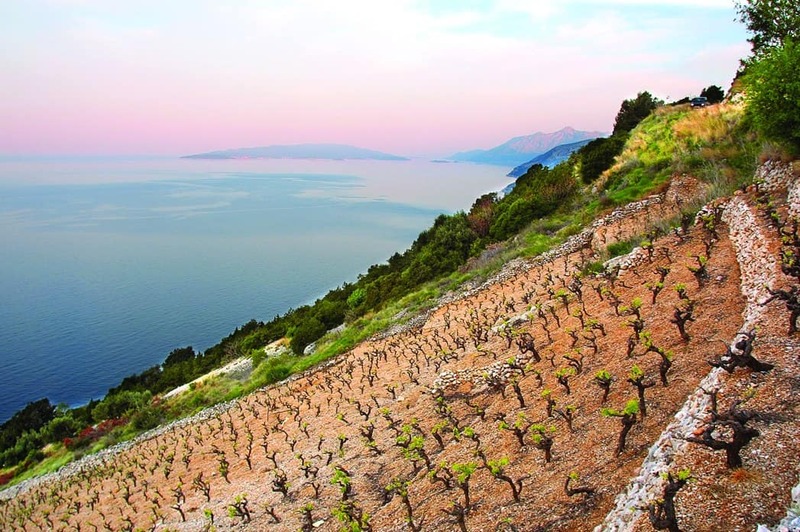 On the steep, precipitous southern slopes of the Pelješac peninsula, the Plavac Mali variety is being cultivated. And the only way its grapes can be reached is via the strength of one’s own legs. These seemingly untouched shrubs often hide snakes. The bite of a horned viper is venomous, and leaves the grape pickers wary of entering the vineyard. Luckily, the traditional donkey has always been a faithful companion, and will carry the crates of grapes to the winery, thus helping the Dalmatian laborer. 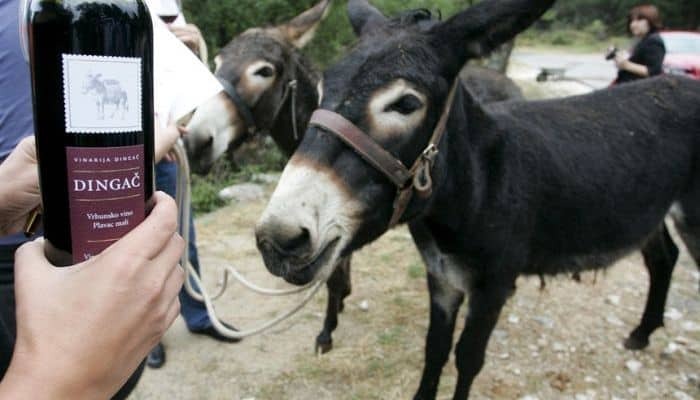 The donkey has thus become one of the symbols of Dalmatia, and as a result, finds itself to be an informal logo found on numerous labels of wine from this position. This mythical position is called Dingač, a protected winegrowing zone since 1964, protected as an area of origin in Geneva in 1964. Dingač’s neighbor Postup was similarly distinguished a few years later. Plavac Mali is the most widespread variety of Dalmatia. 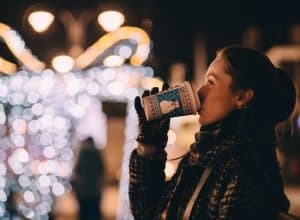 Why is Dingač so special? Dingač and the neighboring Postup are known as the most extreme conditions in which Plavac Mali can be cultivated. In these conditions, the vine is exposed to so called triple insolation. The “three suns” which the vine is exposed to begin with direct rays of sun, made more potent by the vine’s position in a dry area largely devoid of rain. Then, the vine is exposed to a reflection of the rays from the sea. When the vineyard is tilted 45 degrees, the reflection of the sun’s rays from the blue surface of the sea is very intense. The third “sun” is the reflection from the rock, because the rock surface is white and reflects sun onto the vine even from below. That’s why wine from Dingač and Postup is pure solar energy in liquid form. On this kind of rock, the vine looks for sustenance through roots which reach as far as ten meters deep. Because of this, these grapes are capable of withstanding the driest drought, and thanks to the tilt of the earth, which acts as natural drainage, the heaviest rains don’t bother it either. 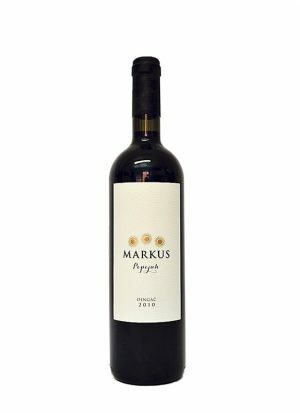 These elite grapes have been valued from five to seven times more than other grapes of the Plavac Mali variety for as long as anyone can remember. Besides, a job that would require an hour’s work from a winemaker at a conventional vineyard demands three hours on Dingač and Postup. Luckily, these God-given positions don’t require too much supervision, and on most of the surfaces, cultivation occurs completely ecologically. The result is an extract wine which is generally high in alcohol. A Plavac of such structure requires the mastery of a winemaker who will know how to form it in the cellar in a way that preserves its character and identity. 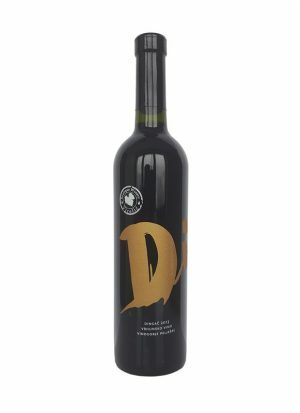 Those who don’t like to feel acidity in their wine, but instead appreciate the warmth and richness of a Dalmatian red, will find themselves at home with Dingač and Postup. The fruitiness of Plavac is often compared to dry figs and carob. It’s only important to anticipate a little bit of tannin. 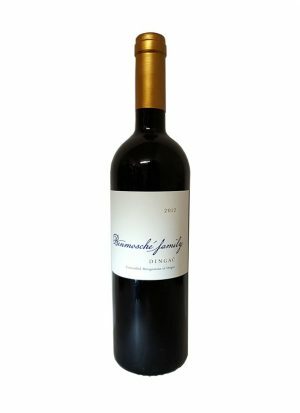 The tannic qualities of Plavac Mali are legendary, and the best Plavac’s from Dingač require a bit of expertise in the cellar. A skilled cellar master will know how to soften the tannins using wooden barrels. The best harvests will ripen for a minimum of 24 months, of which a minimum of 18 is spent in oak barrels of various volumes. 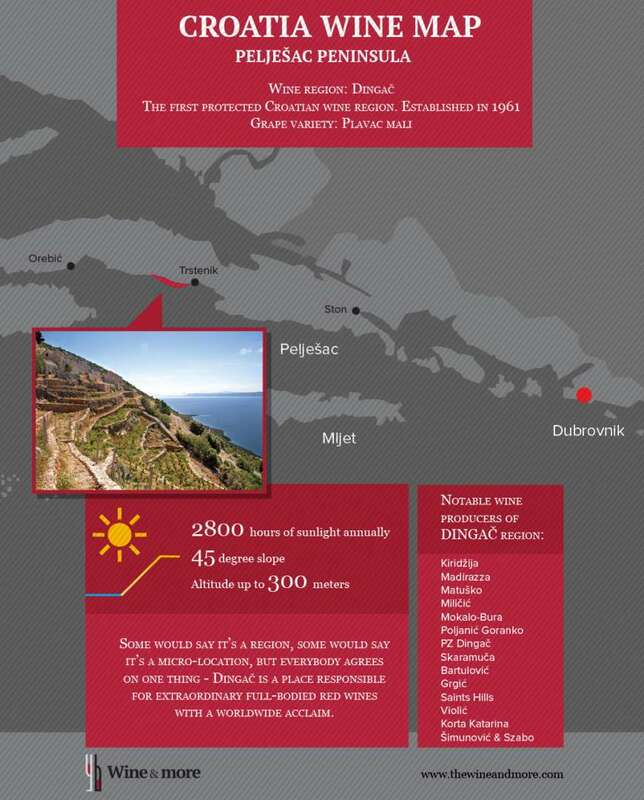 Dingač is a wine of the sun and the rock, with strong, concentrated, and ripe aromas of fruit. 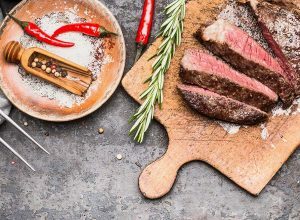 But in its best years, under the direction of the best winemakers, it leaves subtle sensations which tasters associate with sage, Dalmatian karst, and maquis, herbs which grow on Pelješac in abundance. Because of the specificity of uneven ripening, that is, because of the presence of dried berries in the Plavac Mali grape variety, the alcohol content of some vintages approaches the highest possible limit which can be achieved by the natural fermentation of yeast alcohol. Sometimes, the fermentation spontaneously stops, which leaves unfermented sugar in the wine, making Dingač often semi-dry.